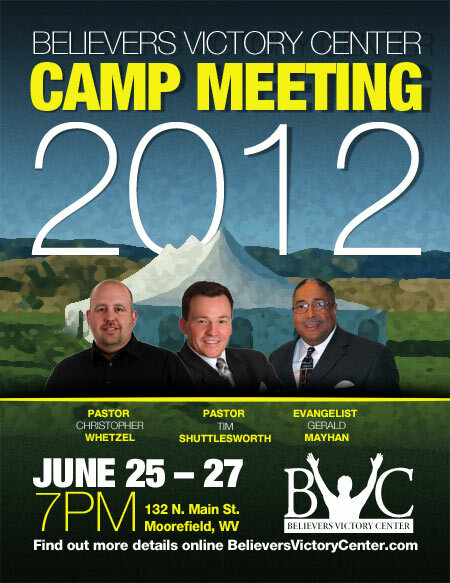 So with that in mind, I am excited to announce Believers Victory Center will be hosting Camp Meeting 2013 on June 24 – 26. The event will take place in the field behind the BVC building. We wanted this to be an event the entire family could enjoy so along with the Camp Meeting our Children’s Department is pleased to offer a three night Kid’s Crusade that will begin and end in unison with the outdoor Camp Meeting. The Kid’s Crusade will take place in the church building and will offer an array of high energy activities, age appropriate Bible lessons, and plenty of fun for children 5th grade and under. 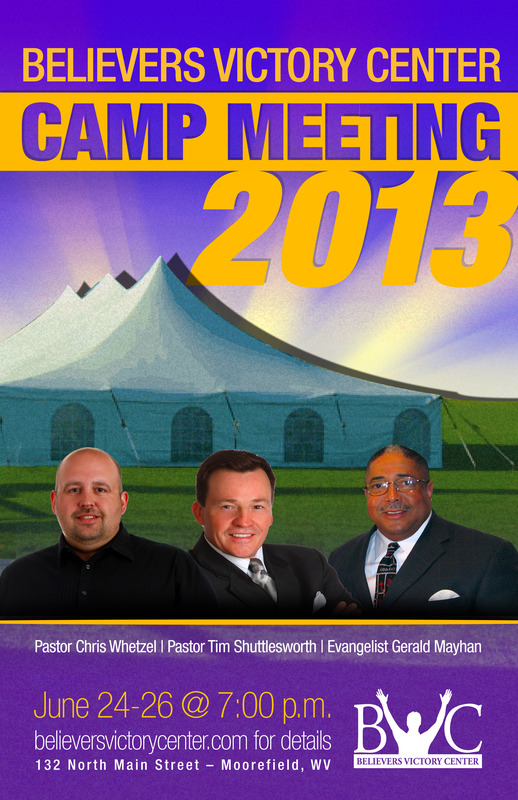 Camp Meeting 2012 promises to be a great time for every member of your family so mark your calenders and make plans to be with us June 25 – 27 at 7 p.m. nightly.